Quarry Hunslet Saddle Tank – 16mm scale model kit. 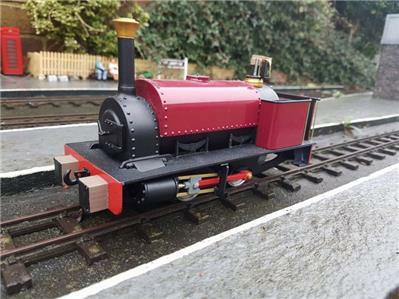 The Quarry Hunslet comes in both 32mm gauge, without a cab (sold separately). For further information regarding the building of kits including electronic control, please refer to the Building Instructions page on the pdf models website.